The meeting dates are April 2-5, Tuesday through Friday, but you may wonder why some people arrive earlier or stay longer (what happens in Vegas……no just kidding). Monday, April 1, is committee meeting day and Advanced Burn Life Support (ABLS) Provider Course day. There are also two Special Interest Groups (SIGs) that meet on Monday night: the Canadian SIG and Federation of Burn Foundations SIG. If you are interested, plan accordingly; otherwise, all other SIGs meet Tuesday. The Fundamentals of Burn Care course is also held on Tuesday afternoon and is a “must see,” especially for first timers. The Opening Reception is on Tuesday in the exhibit hall and is a great place to wander, meet the exhibitors, visit the ABA resource center and take in the sights and sounds of the collaboration in the hall. Wednesday begins the formal programming, highlighting the Opening Ceremony and Presidential Address, “Contribution in Context,” presented by Steven E. Wolf, MD, FACS, ABA President. 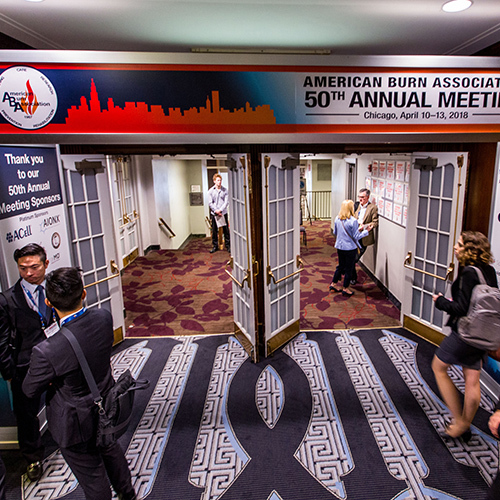 This meeting is also a “must see” and will leave you very excited and proud to be starting your journey within the burn care community. Get a head start at 6:30 am with the Sunrise Symposia. There is a new format this year for getting into the Symposia, offering first come-first served attendance at the door. You could also opt to wake up with a Pilates or Zumba class; however, the recommendation for first time attendees would be to visit the New Member Breakfast. This breakfast is designed especially for you, to gather information, network with other new attendees, meet members of the MAC (Membership Advisory Committee) and the ABA Presidents. Over 200 new attendees visited the breakfast last year, so join us! Plan to participate in a scavenger hunt for prizes that will help you begin to engage fully in the conference. The Correlative Sessions, Wed-Fri, 10-12, offer burn centers the opportunity to share what they are working on or have learned to help support patient care. We encourage you to look at all options ahead of time as you may want to “room hop” to see various papers presented. On Wednesday, the Rehabilitation Workshop is presented during a correlative session time, and is worth attending for current concepts and treatment techniques. Poster Rounds are Wednesday and Thursday during lunch, in the exhibit hall. Each author presents their work and takes questions. Be sure to check out over 300 posters, during the rounds or on your own. 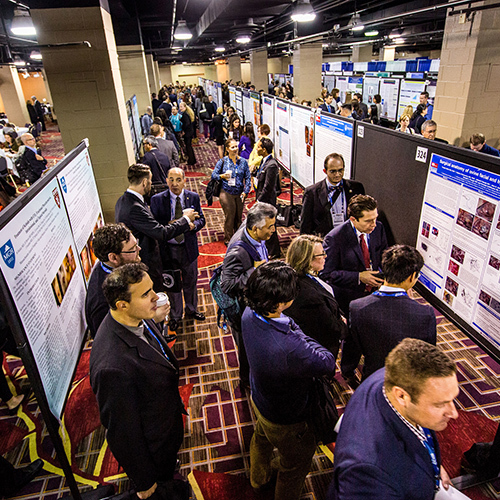 The Best in Category Poster session, highlighting the top posters in each category will take place on Friday. Additional educational forums are presented Wed-Fri, 2-4, and there are one and two day courses. ABA members are encouraged to attend the business meeting on Friday afternoon at 4:15. This meeting provides an update on all ABA activities and the future direction of the ABA. This is a fun way to close out the conference and give your brain the night off from all of the new information you are going to take back and share with your burn center colleagues. The ABA meeting APP is a great source of information and will help you to navigate the conference with ease. Be sure to visit http://psav.mobi/aba/ and download the APP to your phone, iPad or laptop before arriving in Las Vegas. Remember to visit the ABA Resource Center, in the exhibit hall, and meet some of the MAC members and ABA staff. 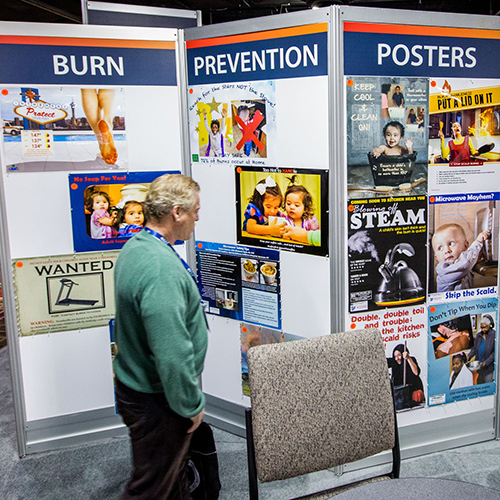 The booth will highlight the Burn Prevention posters, National Burn Awareness Week, Research, Quality Care, Education (relaunch of ABLS NOW, Ameriburn E-learn), Burn Therapist Certification and Membership. This is the place to get your questions answered! 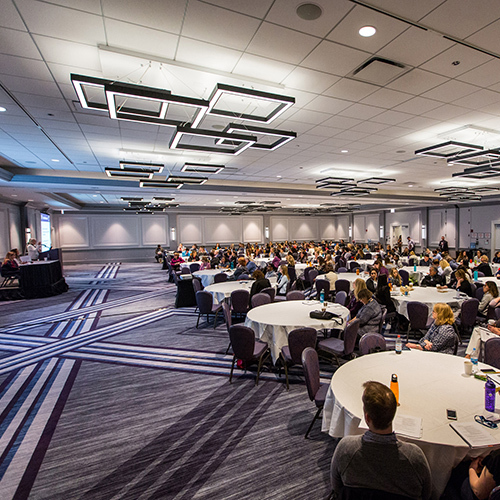 Reserve the 2020 Meeting Dates: March 17-20, Orlando, FL!